Parfums MDCI is a perfume house which exudes elegance and style with its beautiful perfumes. I was eagerly awaiting the two newly launched perfumes from 2013 – Nuit Andalouse and Cuir Garamante. Today I want to tell you about Nuit Andalouse. The perfume is meant to be a scent centered around gardenia. Let me tell you it is not as straight forward as that. This is a perfume that has many facets and blooms beautifully on my skin all day long, in fact I get a good 8-10 hours. Nuit Andalouse opens up with a wonderful burst of orange laced with violets. It is only slightly green and the violets are gently sweetened with sugard blending the orange and violets beautifully. The orange and green notes actually temper the sweetness making sure that it does not veer into cloying territory. This is a simply beautiful opening. It is the start of my day sitting in the sunshine dreaming of a summer vacation that it seems will never come. As the perfume warms up on my skin, the violets come forward with a bit of the powdered fluff that I associate with that flower. The middle notes are smooth and the only note that I can discern with any certainty is orange blossom. At this point in time I understand what others are saying when they get a gardenia smell. I love gardenia plants and wish that I was able to care for them properly as the perfumed air they give off is delightful. I have not tried too many gardenia perfumes and I believe it is because I am somewhat disappointed that most are not as gardenia as I want them to be. However, what I get at this point in the development of Nuit Andalouse is much more of a visual association with gardenia with a modest relation to the actual gardenia bloom with its waxy white petals and fluffy feel. My absolute favorite stage of Nuit Andalouse is in the drydown when it all comes together with a hint of vanilla and sandalwood. 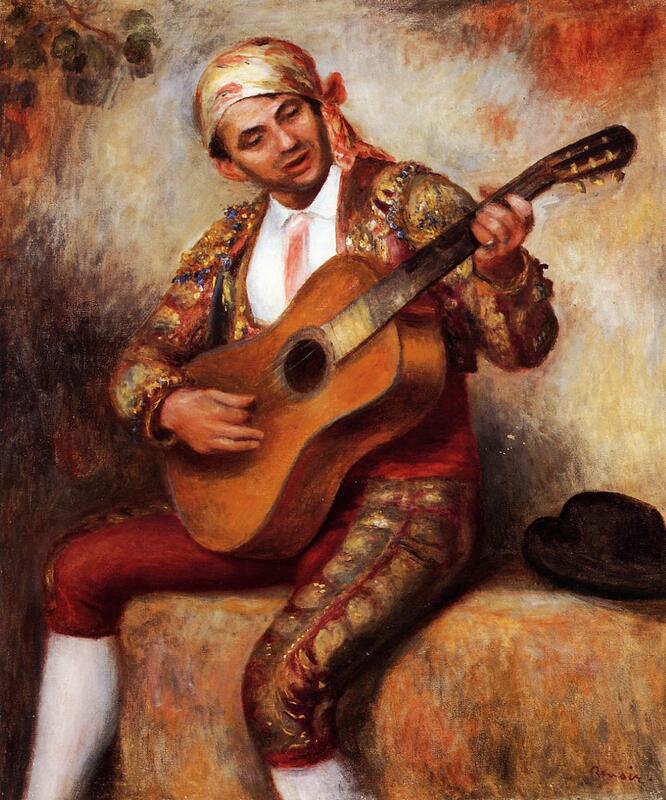 Music now comes to my mind – in particular – the spanish guitar. The music to this day makes me feel alive, cheerful and comforted all at once. This is a beautiful joyful perfume to wear. It will be a perfect addition to my summer wardrobe. Have you tried any Parfums MDCI perfumes? Which gardenia perfumes do you think I should try next? Take a look at Olfactoria’s reviews of other MDCI perfumes here. This entry was posted in By Sandra, Floral, Fragrance Reviews, Parfums MDCI and tagged Claude Marchal, floral, Fragrance, Gardenia, Parfums MDCI, Perfume, Review. Bookmark the permalink. I liked your happy association with the Spanish guitar Sandra. B kindly sent me some Peche Cardinal and that iss gorgeous. Gardenia really isn’t for me but have you tried the one by Van Cleef & Arpels, Gardenia Petale? You might like that one too. Sandra, I love the MDCI line and you make this sound enchanting. A gardenia that is as lilting as music sounds both joyful and romantic. Regarding gardenia perfume suggestions, have you ever tried Chanecaille Petales? It’s rarely mentioned on perfume blogs, but I think it’s gorgeous: very soft and buttery, it’s like white-floral lingerie. Try gardez-moi by jovoy, love it! Cuir Garamante is great. I want to test it when it is warmer to see how it does. Thanks for the Jovoy perfume tip. I second the Jovoy and would also add Red Cattleya by Olympic Orchids- a great peachy gardenia with an opening burst of ripe melon. Very curvy perfume. Thanks Connie for the suggestions. I love peach in perfume. I added a sample of this on a whim to my latest FiForder, and was very pleasantly suprised, it’s really a beautiful perfume! My other favorites from MDCI are Peche Cardinal and Promesse de l’Aube. It took me by surprise too. I love your choices from MDCI. I love just about every element you’ve mentioned in your review (orange blossom, gardenia, vanilla….yum!). I haven’t tried any fragrances by this house but definitely want to try this one now that I’ve read about. Thanks for your review! MDCI have a wonderful sample pack on their website. I hope you can try some of their perfumes – many are beautiful. Haha – tell me about it!! I have not even started with the new launches for May and my wallet in cringing. Have fun with the tax money. Wish I could say the same. I absolutely fell in love for Enlevement Au Serail, but, sadly, it was discontinued… The others from the womens fragrances I really like are Le Rivage de Syrtes, Vepres Siciliennes, Promesse de L’Aube and, maybe, La Belle Helene.